Many of these campers are returning to Camp Sabra to reunite with their past bunkmates and to build friendships with new campers. Sixth graders can attend in two- or four- week increments, but seventh graders are here for the full four-week session. These longer sessions give Ayelet and Almagor campers time to build their skills in our activities and spend more time with their camp family. Two-week Ayelet and Almagor campers get the chance to explore many camp activities during their stay. Two- week campers also experience an in-camp overnight, where they cook and sleep under the stars somewhere on the Camp Sabra peninsula. Four-week campers (and campers who come for a two-week experience during the second half of the session) participate in our color games, Maccabia, and they enjoy a trip to Big Surf Waterpark with us during the final week of session. 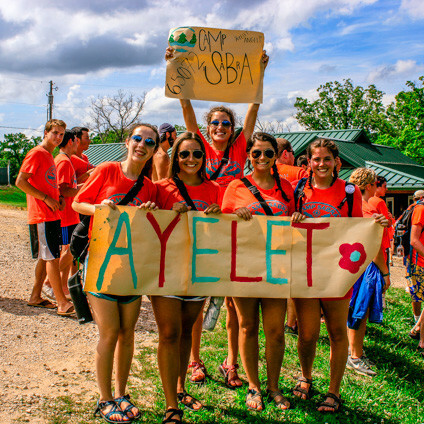 These Ayelet and Almagor campers also go on a river trip for two nights and three days on a scenic Missouri Riverway – something campers look forward to all session. 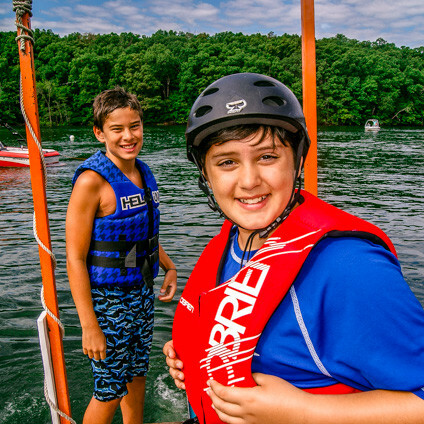 Four-week campers also enjoy the in-camp overnights, as well as the opportunity to explore all of our camp activities with the added bonus of additional time to create memories with their fellow campers and our camp staff.